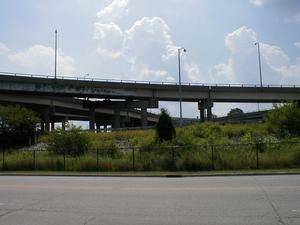 These images are associated with the “Jefferson County” topic. 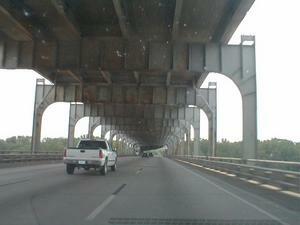 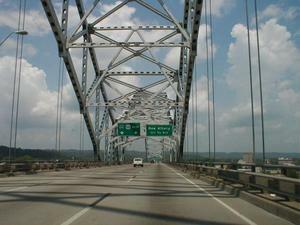 Description: Entering the lower deck of the Sherman Minton Bridge heading east on I-64 from Indiana. 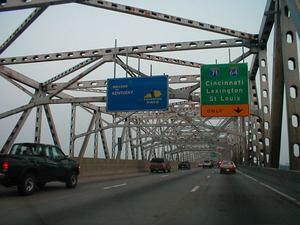 Description: Heading south on I-64 on the lower deck of the Sherman Minton Bridge. 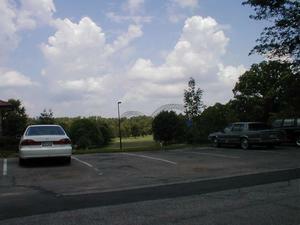 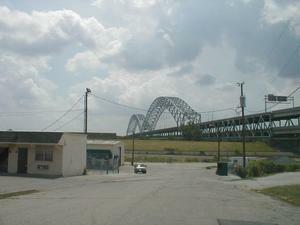 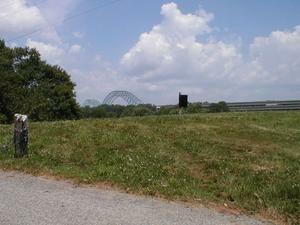 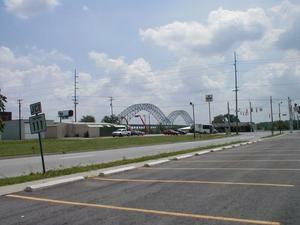 Description: I-64 Sherman Minton Bridge viewed from near the Shawnee Golf Course on the Kentucky side. 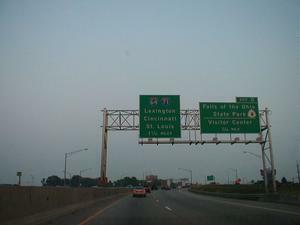 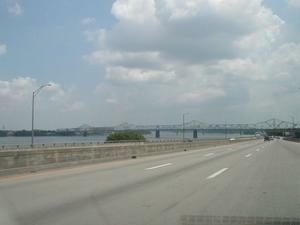 Description: Heading north on I-64 entering Indiana via the Sherman Minton Bridge. 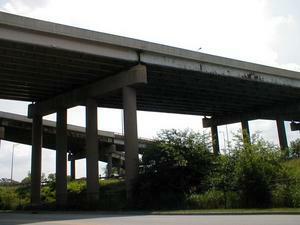 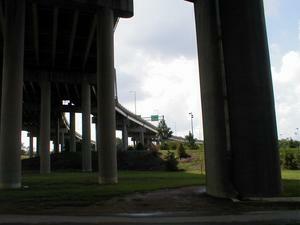 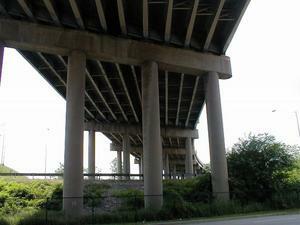 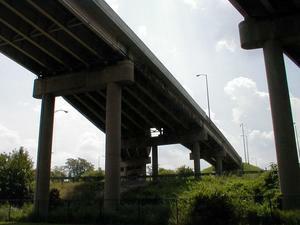 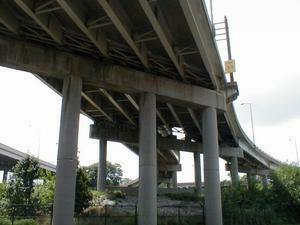 Description: Facing north underneath the Kennedy Bridge at the I-64-I-65-I-71 Spaghetti Junction interchange. 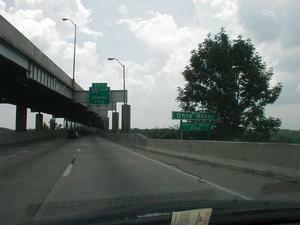 Description: Ramps splitting from and joining to I-65 underneath the Kennedy Bridge at the I-64-I-65-I-71 Spaghetti Junction interchange. 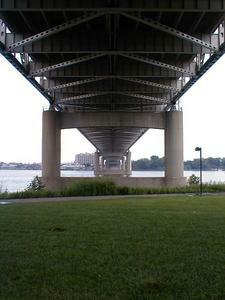 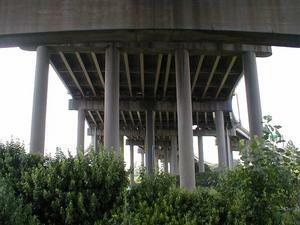 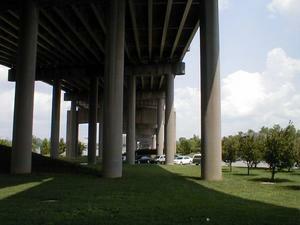 Description: Underneath the Kennedy Bridge at the I-64-I-65-I-71 Spaghetti Junction interchange. 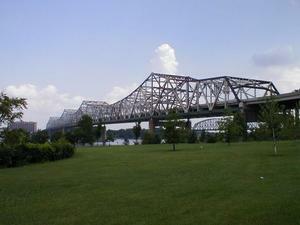 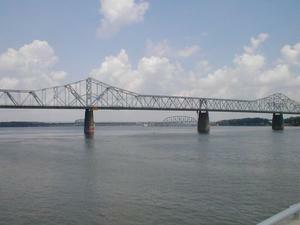 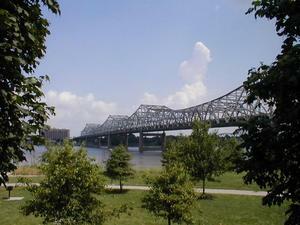 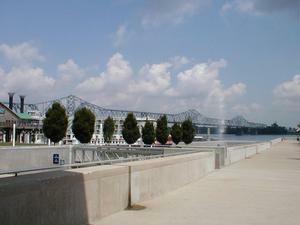 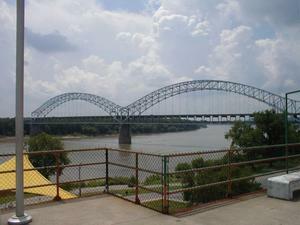 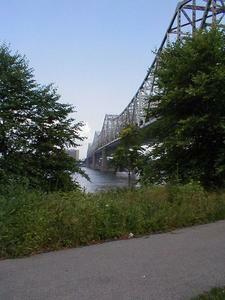 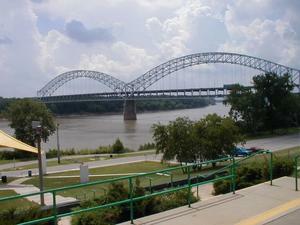 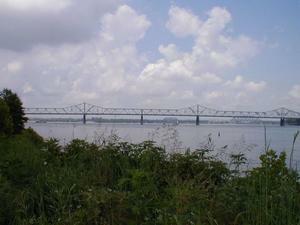 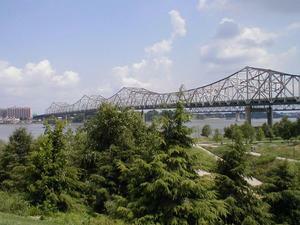 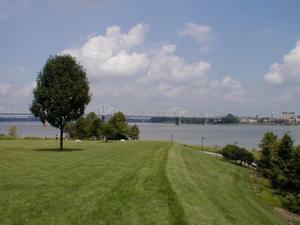 Description: The I-65 John F. Kennedy Bridge over the Ohio River at Louisville viewed from Louisville's Waterfront Park. 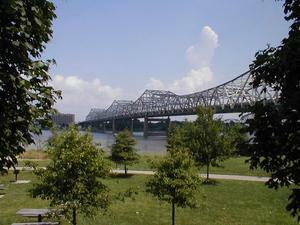 The bridge in the background is the "Big Four" railroad bridge. 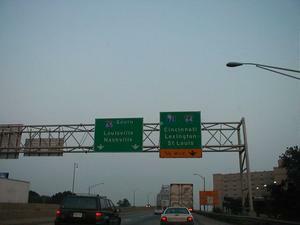 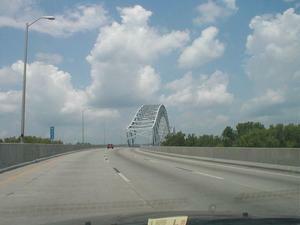 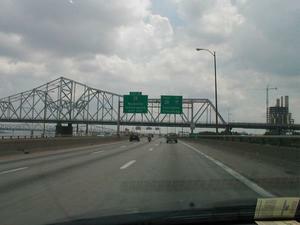 Description: Entering the I-65 John F. Kennedy Bridge over the Ohio River at Louisville from the Indiana side. 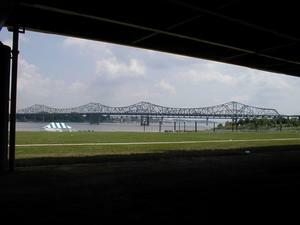 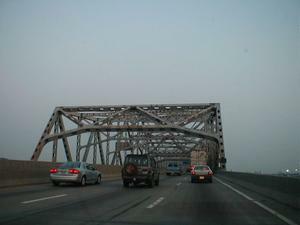 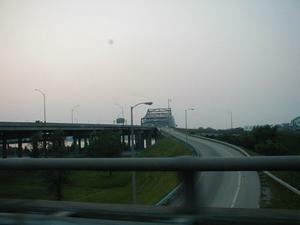 Description: The I-65 John F. Kennedy Bridge over the Ohio River at Louisville viewed from east bound I-71. 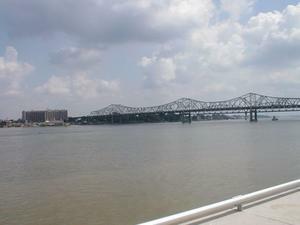 Description: The US 31 George Rogers Clark Memorial Bridge/Second Street Bridge over the Ohio River in downtown Louisville, KY viewed from the I-65 John F. Kennedy Bridge. 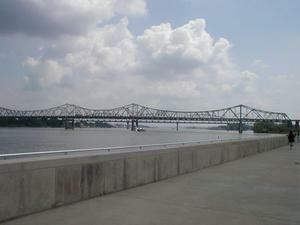 Description: The US 31 George Rogers Clark Memorial Bridge/Second Street Bridge over the Ohio River in downtown Louisville, KY viewed from eastbound I-64 in downtown Louisville. 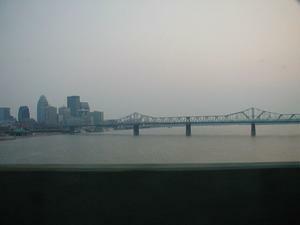 Description: The US 31 George Rogers Clark Memorial Bridge/Second Street Bridge over the Ohio River in downtown Louisville, KY viewed from eastbound I-64 in downtown. 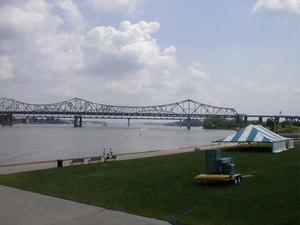 Description: The US 31 George Rogers Clark Memorial Bridge/Second Street Bridge over the Ohio River in downtown Louisville, KY viewed from Waterfront Park.